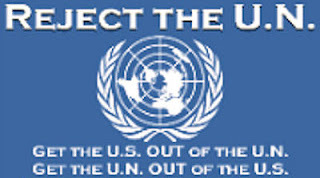 ARRA News Service: Now We Are Un-American? John Allison III: According to Blanche Lincoln (D-AR), my US Senator anyway! Is there any level so low Democrats in Washington won't stoop to it? Are they so conceited they actually believe themselves as they outright lie to the American people? Do they really think the American people are so terribly stupid they can't see through their childish, imbecilic responses to conservatives' fact-based challenges to their agenda? Our first hint of things to come was the Department of Homeland Security report that warned law enforcement agencies of the danger posed by virtually every conservative in the country. Labeled "Right-Wing Extremists" in the report, conservative Republicans, Independents, and third party backers were pointed to as potential terrorists who deserved the scrutiny of local, state, and federal law enforcement officials. Even targeting the most patriotic among us, veterans of the US armed forces, it generated the first of several conservative uprisings to challenge Obama administration policies. We thought it bad when we found out they didn't read the $787 billion so-called "stimulus" bill. Then the arrogant Henry Waxman (D-CA) hired a speed reader to buzz through the Cap & Trade bill on the House Energy & Commerce committee at an unintelligible pace so that he could claim to have "read the bill." The move was designed to undermine an attempt by Republicans to force them to fulfill their obligations to constituents by reading the bill to fully understand what the legislation would saddle the American people with. It was a classless, egotistical attempt by Democrats to ridicule both constituents and fellow members of the US House who demanded Democrats act responsibly and perform the duties for which they were hired. The same Democratic legislators refused to read HR 3200, "Obamacare," and are now paying the price. Now that conservatives have realized their representatives refuse to do their jobs, constituents are taking the task upon themselves. We now have a situation where ordinary citizens are taking the time to read legislation and explaining it to our elected officials. And the Democrats don't like it. Their lies and talking points are no longer holding water with the American people, because they understand it better than the Congress! Congressmen are walking into town halls and other public meetings armed with a single sheet of Pelosi-Reid talking points while their disgruntled constituents come armed with the actual text of the bill! Backed into a corner with facts, Democrats in Washington are lashing out in desperate attempts to denigrate their own constituents. The Obama administration has now issued a mandate to his minions to turn in neighbors, friends, and family who write and forward communications critical of Obamacare. Not stopping there, the White House even demands "fishy" truths about Obama's government-run health care program mentioned in casual conversations should be reported to the Propaganda Office in the White House. Ask yourself, when have we ever faced the prospect of an American President demanding citizens turn each other in to the government for disagreeing with policy? Never. If that's not enough to worry you, the President's aides have now made direct threats to "punch back twice as hard" whenever the administration's health care policies are challenged. We saw this put into practice when the administration sent in union thugs to physically assault protesters outside a St. Louis town hall. So now we have a President actively engaging in suppression of Americans' ability to freely express their disagreement with their government. 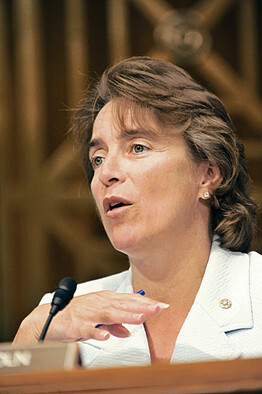 And now we hear our own Senator Blanche Lincoln (D-AR) has described us as un-American! It's funny how Democrats have no problem with protesters who demonstrate against conservatives and their causes. According to Hillary Clinton, "we have a right to disagree with any administration." But I guess she meant any Republican administration. Of course Lincoln is now backing away from her comment, but calling your constituents un-American doesn't happen with a slip of the tongue. She's retreating because the heat from the fire she stoked is too hot! Though her Arkansas colleague didn't even face a Republican challenger last year, the GOP field to run against Lincoln has already drawn a crowd. Arkansas State Senator Kim Hendren and Arkansas Tea Party organizer Tom Cox have already announced their intent to run, while central Arkansas businessman Curtis Coleman and State Senator Gilbert Baker are considering runs but have yet to announce. (Although I have it from a pretty reliable source that Coleman will announce soon.) A conservative Independent, Trevor Drown, has also announced his intent to run for Lincoln's seat. "Since the founding of the United States people have been exercising the freedom and responsibility to question their elected representatives. The current public political debate resembles the enthusiasm of our nation's first 100 years. A U.S. Senator referring to The People as "disrespectful" and "un-American" for calling on their Representatives is appalling. Senator Lincoln's statements are indicative of the elitist Washington D.C. arrogance and mentality that continues to dismiss the voice of Middle America. The citizens of this country deserve honest answers to their questions." "What's sad is that Senator Lincoln apparently doesn't value the opinions of hard-working Arkansans who took time away from their busy schedules to express their concern over losing control of their healthcare to the government. Senator Lincoln's description of these Arkansans as 'un-American' illustrates how deeply out of touch she is with the American people." Lincoln's planning a series of public speaking events this week (not town halls) and we hope she gets an earful from some of us un-American Right-Wing-Extremists everywhere she goes! Tags: Barack Obama, Blanche Lincoln, Curtis Coleman, Gilbert Baker, Harry Reid, health care, John Allison, Kim Hendren, Nancy Pelosi, Obamacare, protests, Tom Cox, Town Hall, Townhall, un-American To share or post to your site, click on "Post Link". Please mention / link to the ARRA News Service. Thanks!